Environmental Partnerships specializes in the recycling of oil absorbing pads, mats, and socks. We have helped companies throughout the Midwest save as much as 40% on their absorbent disposal costs. We are one of the largest oil absorbent recycling companies in the U.S.
Environmental Partnerships offers the most environmentally sound method of handling your company's non-hazardous absorbent materials. Our closed loop cleaning process eliminates your company's liability by keeping your absorbents out of landfills and incineration. Extracted oils are recycled and absorbents are cleaned for reuse with no discharge of any type. Environmental partnerships will provide high quality reusable absorbent pads and socks at no cost. The sizes, types and amounts of absorbents provided is based on your needs. If your needs change, we will change with you. Environmental Partnerships will provide the required amount of D.O.T approved 55-gallon drums for storage and transportation at no cost. Environmental Partnerships will pick-up used absorbents and deliver cleaned ones in Environmental Partnerships operated trucks every two weeks, four weeks, or on an "on call" basis. Service frequency will be dictated by your unique needs. In the vast majority of cases, our client's utilize our "managed services" approach where we set-up and service absorbent recycling stations, where you direct, right on the shop floor. 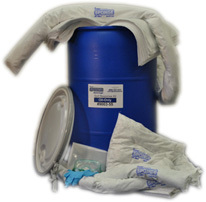 With each scheduled service, Environmental Partnerships personnel, following your safety rules and PPE/GMA requirements, empty the drum of used absorbents and restock the inventory of clean absorbents at the recycling station or in your "crib" or designated storage location. Our managed services approach makes it so your maintenance or janitorial staff do not have to be involved in supporting or managing the absorbent recycling program. With managed services, we eliminate you and your staff having to: monitor inventories of absorbents, request absorbent purchases, handle incoming absorbent materials, monitor how full the drums of used absorbents are, call the disposal company to order and schedule a pick-up, haul the full drums to a dock for pick-up and, then meet the disposal company driver to load the drums and complete the manifests. All these hassles are gone! 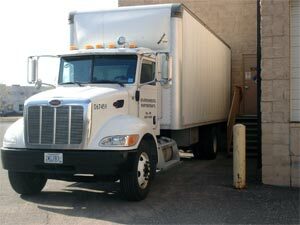 Upon each pick up and delivery, customers are charged on a per drum basis: Pricing includes all costs associated with the pickup, cleaning and delivery of absorbents. Should you run out of absorbents before our scheduled pickup/delivery Environmental Partnerships will arrange for delivery of additional absorbents at no charge. Environmental Partnerships pricing is based upon a per drum price rather than a per pound price. This is due in part because we do not require you to drain any fluids from your pads before depositing them in our drums for cleaning.